North America is home to six species of fox, some of which are widespread and others that are found in just a small range. Michigan is the native home of just two of these species, with the other four being found either much further north or south of the Great Lakes region. The red fox grows to 41 inches in length and weighs between 9 and 12 lbs. It has thick, reddish-yellow fur and a bushy tail with a white tip. The fox has a long, slender muzzle and large, pointed ears. The gray fox grows to 40 inches in length and weighs 7 to 13 lbs. It resembles the red fox in body shape but has gray-brown fur with a black stripe along the spine. 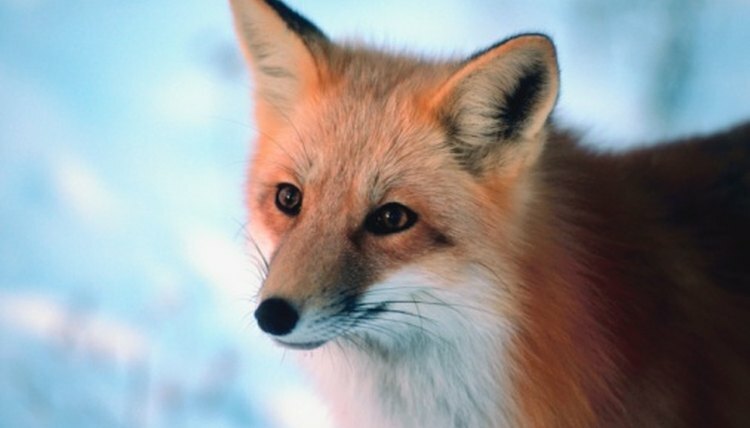 The red fox is found in every county in Michigan, and throughout most of North America as well as Europe, Asia and North Africa. It is a highly adaptable animal and can make its home almost anywhere, even in urban areas. The gray fox is also found throughout Michigan and much of North America except for the Northwest. It also ranges down into Central America, unlike the red fox. The gray fox lives in wooded and brush area habitats and occasionally will dwell near the outskirts of urban areas. Both species of fox are omnivores, meaning that they eat both animals and plants. Small mammals such as cottontail rabbits, rodents, birds and reptiles make up the bulk of the animal's diet. Fruit, nuts seeds and insects are also common foods. The gray fox is also known as the tree fox and is the only member of the dog family which climbs trees. It will even hunt in the trees and use them to escape larger predators. The red fox can not climb trees. For both fox species, mating occurs in late winter with both the male and female working together to prepare a den in which the pups will be born. After mating, the gray fox takes around 63 days to give birth, while the red takes between 51 to 53 days. Both species of fox have litters of around five pups on average which will be cared for by both parents until late summer or early fall. What Kind of Environment Does a Panda Live In?